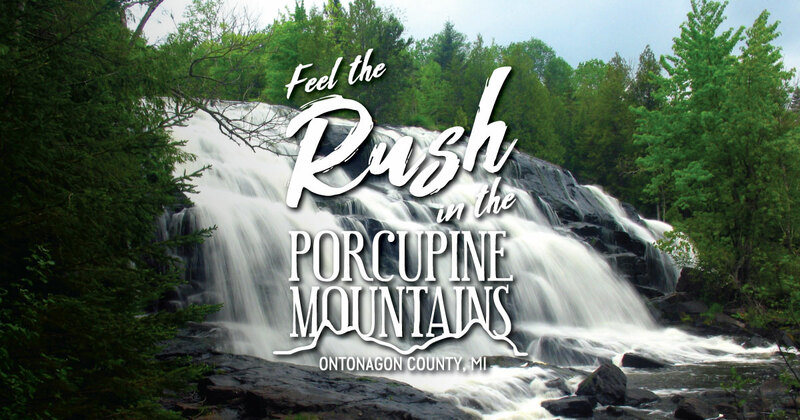 The Porcupine Mountains and Ontonagon County is a beautiful place to explore on two wheels. You’ll find miles of scenic road biking and some of the best mountain biking in the Midwest. All you need to a sense of adventure and the desire to explore the beauty of the Porkies. Here’s a guide to get you started on your next biking adventure. Bikers looking for a paved route can take the 107th Engineers Memorial Highway and M-64 along the south shore of Lake Superior. The route offers some nice lake views. You can reach Porcupine Mountains Wilderness State Park about three miles from Silver City. Hill climbers can head up to Lake of the Clouds to take in the iconic view. The Porcupine Mountains offers a wide range of trail options. The Porcupine Mountains Wilderness State Park is home to over 20 miles of mountain bike trails, with loops ranging from 1.5 to 10.5 miles. You’ll find great riding in the park’s northeast corner. Another spot that’s popular with thrill seekers seeking single track is Copper Peak. The trails are well worth the trip to the peak. The Adventure Mine is another popular spot, hosting the annual Miner’s Revenge Race. You’re in luck. Single and tandem bicycles are also available for rent at the Porcupine Mountain Outpost.